Two new reports in the US emerged late yesterday of Samsung's "safe" replacement Note7 smartphones catching fire. One, in Kentucky, actively went unreported by Samsung (the fire happened on Tuesday) and caused a man to be treated at a hospital for smoke inhalation when his phone caught fire in his bedroom overnight. The second gave a 13-year-old a minor burn when a Note7 battery failed in her hands. Both reports seem extremely reliable. The case in Kentucky is actively being handled by Samsung (the man refused to give them the device, but Samsung still paid for an x-ray scan and did not refute claims it was a replacement), and the owners in the Minnesota case provided receipts proving the device was a replacement. Return your Note7. This isn't the time to "wait and see what happens." If your retailer or operator will not allow you to return the device, contact their customer support or reach out on social media (letting Samsung know couldn't hurt, either). Given Samsung's attitude of sitting on that first case for five days, it's clear the company really, really doesn't want to go through the pain of a second recall. Samsung and their partners will not act expeditiously unless customers make it clear this is a priority. I can only imagine how many announcements we'll be seeing of cancelled retail sales of the Note7 by various stores and carriers this week - and hopefully most of them will do right by customers and allow a no-questions-asked refund. Additional unconfirmed reports of a replacement phone catching fire in Samsung's home market of South Korea have also emerged, but all that is provided is a brief video. In a statement made to Gizmodo, Samsung said the following (read: nothing of any substance). We are working diligently with authorities and third party experts and will share findings when we have completed the investigation. Even though there are a limited number of reports, we want to reassure customers that we are taking every report seriously. 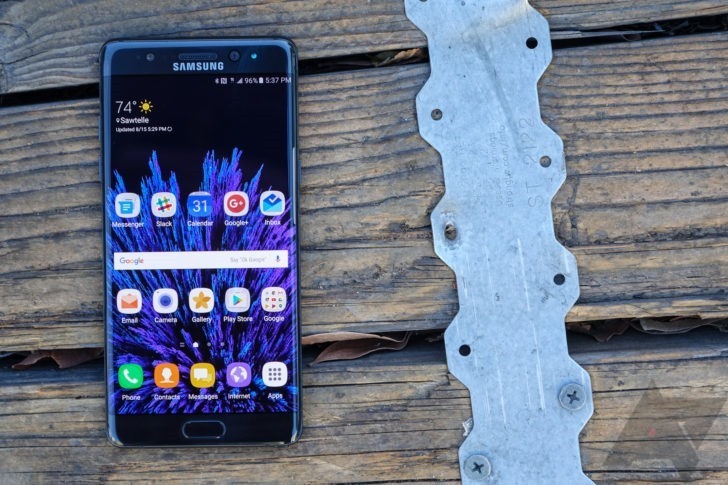 If we determine a product safety issue exists, Samsung will take immediate steps approved by the CPSC to resolve the situation. In other words, Samsung is obviously aware, but is not yet prepared to actually take any kind of definitive action. I'm guessing that will change in the next few days.